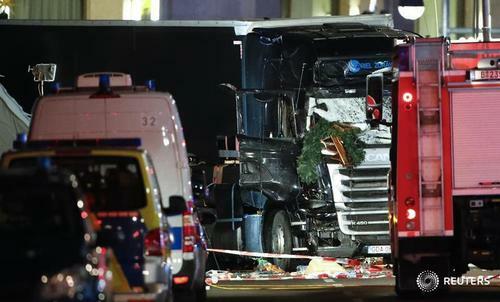 *Anis Amri - suspect of driving a truck through a Berlin market on Monday has been killed in a police shoot-out in Milan. 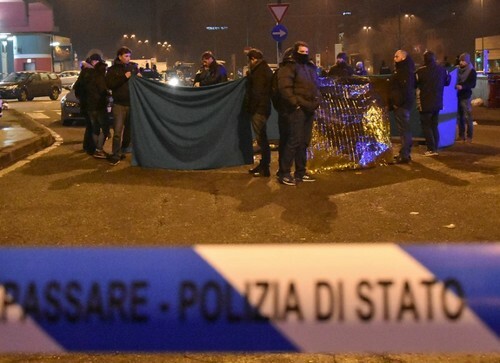 *Italian interior minister Marco Minniti said - "The man killed was without a shadow of doubt Anis Amri"
*Amri was stopped by police at around 0300 (0200GMT) and asked for identification. He pulled a gun and shot one of the policemen, wounding him and was then in turn shot dead by police. *A judicial source told Reuters that police had a tip off that Amri might be in the Milan area and that additional patrols had been sent out to look for him. 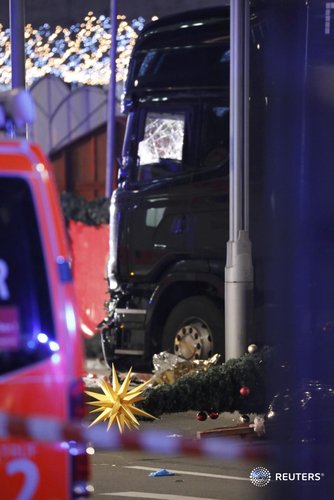 Video footage from the scene after a truck plowed into the crowd at a Berlin Christmas market. More footage from the scene. 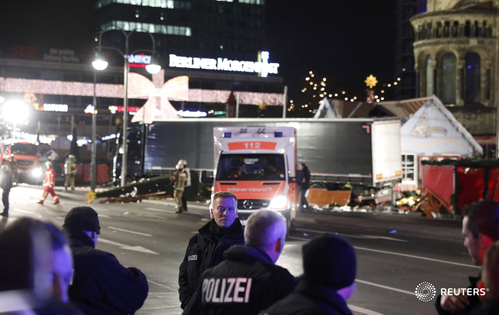 "I heard a big noise and then I moved on the Christmas market and saw much chaos...many injured people." 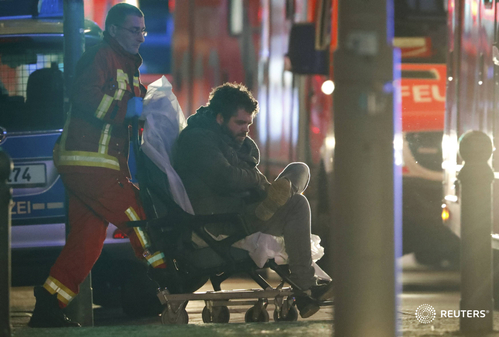 - Jan Hollitzer, deputy editor in chief of Berliner Morgenpost, told CNN. 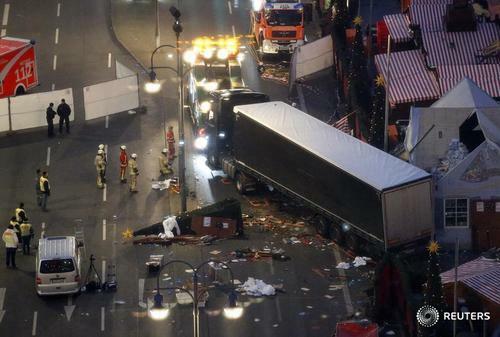 UPDATE: German police on Twitter say suspect arrested near the Breitscheidplatz, investigating whether is driver of the truck. 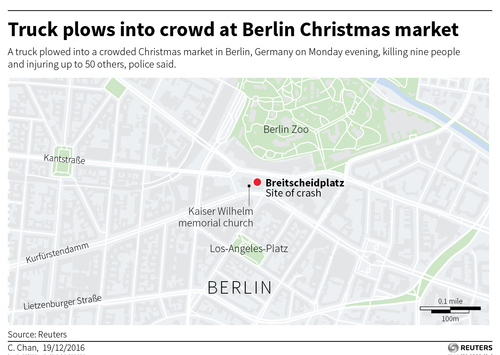 MORE: Police on Twitter say there are currently no indications of further dangerous situations in Berlin near Breitscheidplatz. 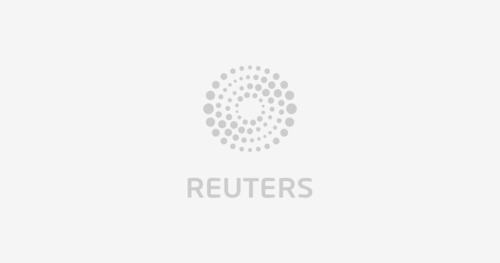 From the Reuters Graphics team. 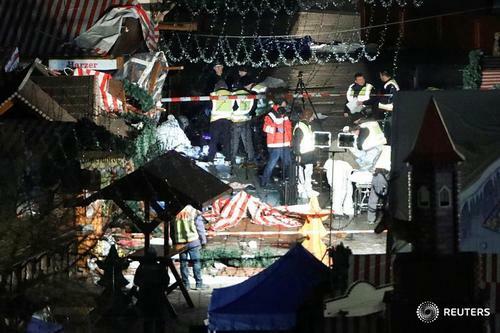 The circumstances of Monday's deadly truck crash at a Christmas market in Berlin is still unclear, a senior German official said, dismissing as speculation reports that the lorry could have been hijacked by militants. 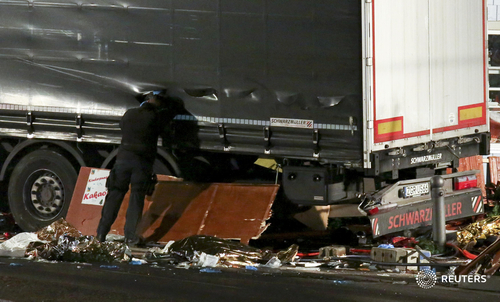 "The sequence of events point to either an accident or an attack," Berlin State Interior Minister Andreas Geisel said. 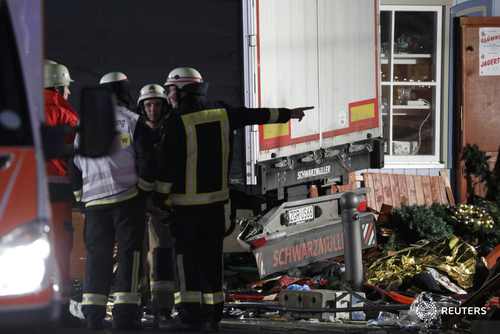 German Foreign Minister Frank-Walter Steinmeier said in a statement it was still unclear exactly what had happened. 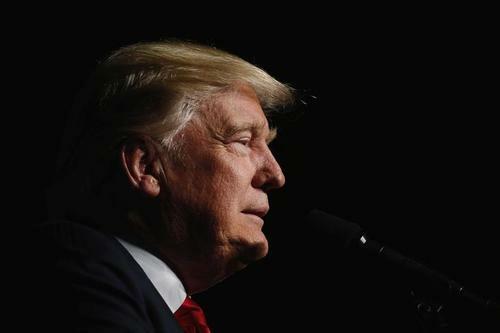 Security officials are trying to secure the site and find those responsible, he said. 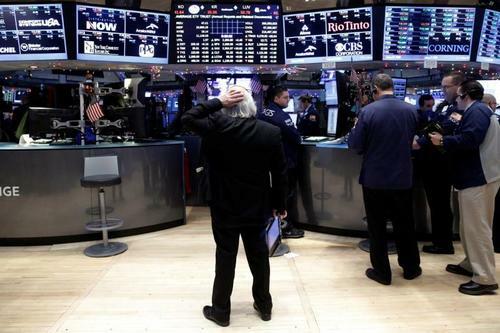 ReutersDeadly attacks late in the trading day in Turkey and Germany made stocks pare their gains, while Treasuries prices rose and the safe-haven yen firmed. 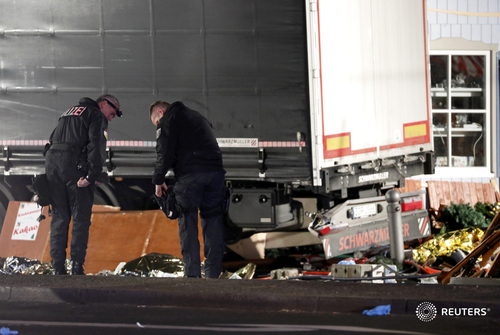 The nationality of the suspected truck driver who ploughed into a Christmas market in Berlin is still unclear, a police spokesman said. 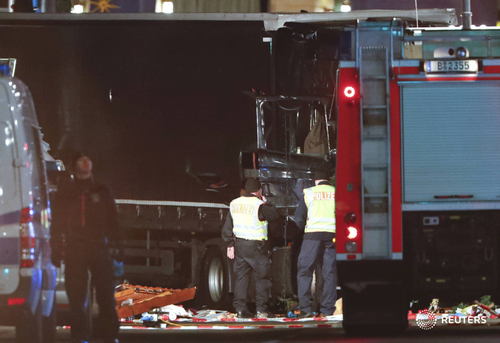 The suspect, who fled the crash scene and was later arrested, was being interrogated by officers, police spokesman Thomas Neuendorf told reporters. 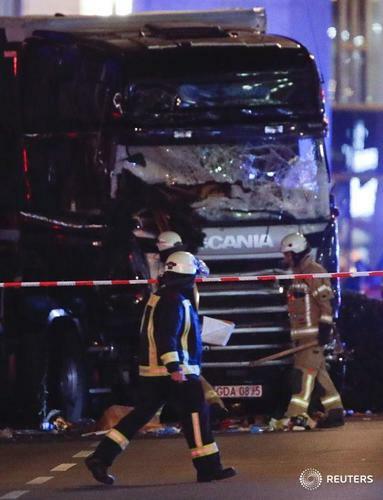 He added that the crashed truck had a Polish license plate and that German officials were in contact with Polish authorities. 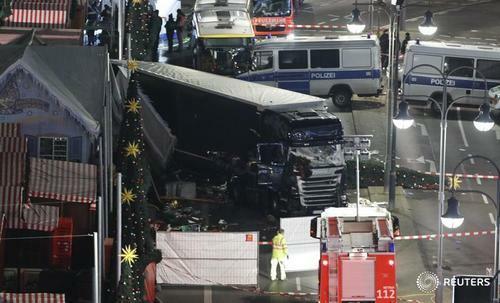 The circumstances of Monday's deadly truck crash at a Christmas market in Berlin is still unclear, a senior German official said, dismissing as speculation reports that the truck could have been hijacked by militants. 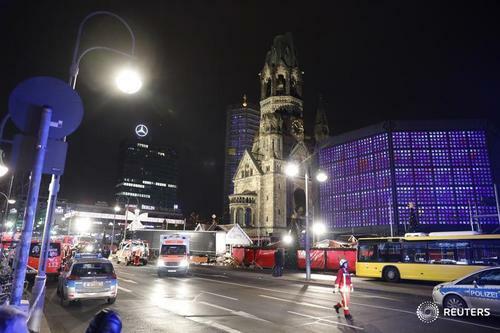 Reuters IndiaThe Berlin evening air was cool, the mulled wine warm and festive spirits high. 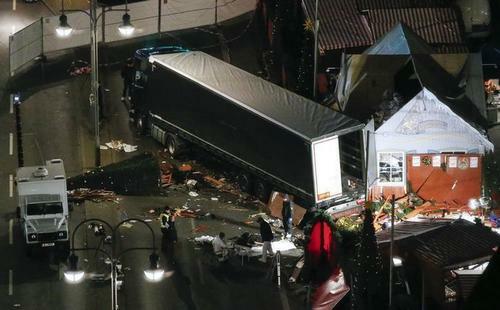 Then, suddenly, chaos: A truck ploughed into the Christmas market, making no obvious attempt to stop, and smashing revellers in its path. 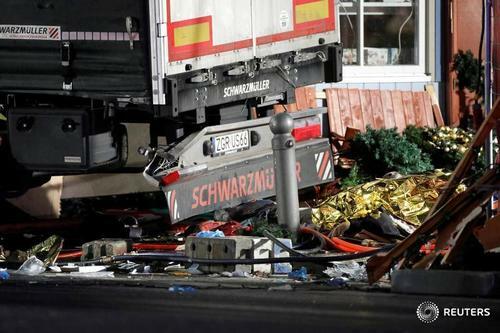 "Our investigators assume that the truck was deliberately steered into the crowd at the Christmas market at Breitscheidplatz." 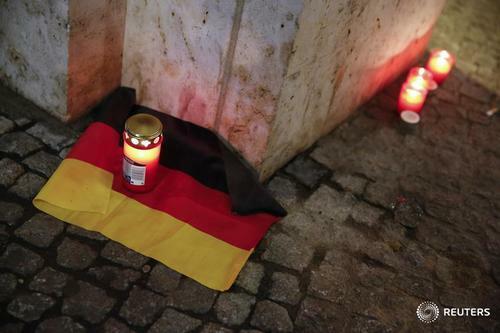 - Berlin police on Twitter. 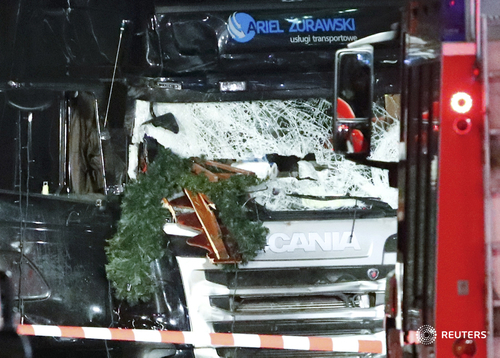 UPDATE: Police said that the man found dead in the truck was a Polish citizen but added he was not in control of the vehicle. 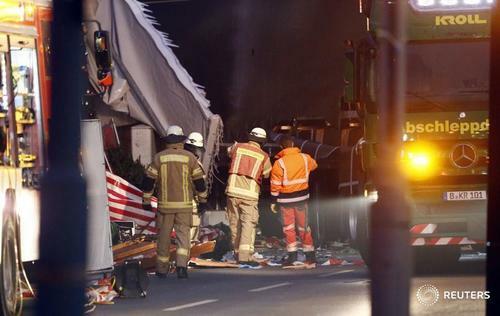 The nationality of the suspected driver, who fled the crash scene and was later arrested, was unclear, they said. 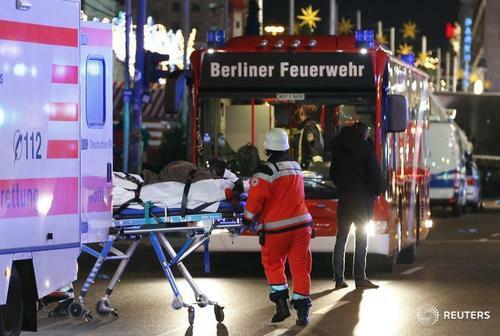 U.S. President-elect Donald Trump on Monday condemned the attack at a Christmas market in Berlin, linking the attack to "Islamist terrorists" before German police officials had said who was responsible. 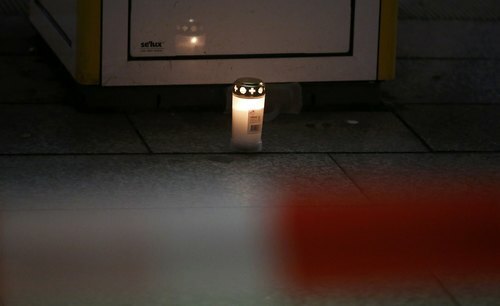 ReutersU.S. 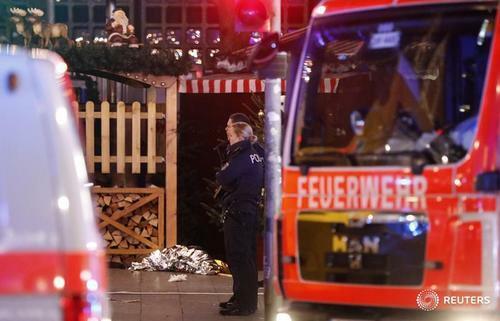 President-elect Donald Trump on Monday condemned an attack at a Christmas market in Berlin that killed nine people and injured dozens more, linking the attack to "Islamist terrorists" before German police officials had said who was responsible. 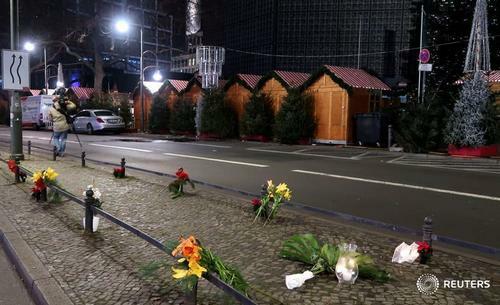 ReutersGerman magazine Focus said on Tuesday that police special forces were storming a hangar at Berlin's defunct Tempelhof airport, which now houses a refugee accommodation center.